Over the weekend I had the opportunity to photograph my bro Vinnie (vinnieboyent.com) doin some djing for a Quince. Man is he awesome! 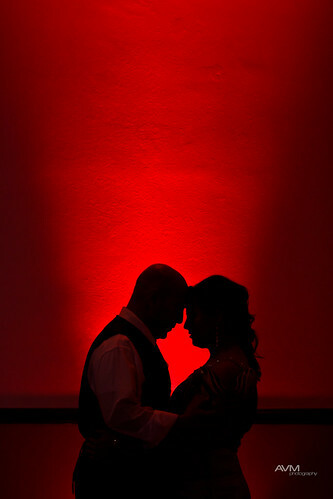 While shootin I noticed how cool the red uplighting that he had set up around the room looked. I looked at one of the walls and I figured it would be a great light for a photo of a couple. Better yet, of the parents! Later on that night I asked if I could have a few minutes to photograph them against the wall and tried my best to explain how it was going to turn out. They said “Yeah sure!” not really understanding what I was going to do or how it was going to turn out. So I brought them to the spot and set up their pose and... click. One shot, one minute, and it was my last image of the night.